Situated in the South Pacific Ocean, Fiji is comprised of more than 300 different islands, which come together to form a horseshoe-shaped archipelago. Of these islands, more than 100 are inhabited, which gives visitors to Fiji the opportunity to explore several stunning tropical islands. Shopping is a pleasant pastime in Fiji, especially for visitors with a love for arts and crafts. Traditional markets spring up in just about every town and village here and the range of products available is incredible. 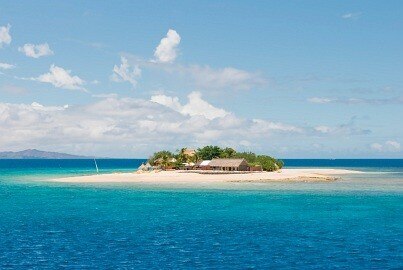 Most visitors to Fiji find spending time here fun and simple as the people are friendly and welcoming to foreigners. Getting around is easy as there is plenty of public transport available and most people in major tourists areas speak a reasonable amount of English. While some visitors prefer to travel independently, there are also plenty of tour guides and special trips available to make the experience smooth and simple. Fiji is famed for its intense tropical beauty and it should come as no surprise that many people spend most of their time both on and around the beach. The entertainment options are limitless in Fiji. Visitors who are interested in adventure sports will be able to arrange trips to explore the lush jungles and practice sports such as kayaking, hiking and sailing, while guided tours also take travelers on trips around the islands. Fiji really excels when it comes to dining and the quality of the food in the restaurants scattered around the islands is consistently high. While the towns of Nadi and Suva offer the widest selection of restaurants and cuisines, tasty treats can be found everywhere in Fiji. From barefoot escapes straight out of Robinson Crusoe to rocky isles lashed by the Atlantic, this guide to the top 10 islands in the world will help you choose the right hotel.